This weekend, ten participants braved the downtown Race for the Cure crowds to come out to our Capitol Ground Tree Walk. Melanie Choukas-Bradley, author of City of Trees: The Complete Field Guide to the Trees of Washington, D.C. led the Saturday morning walk. One of the tree walk’s highlights was a bur oak (Quercus macrocarpa) near the corner of First Street Northwest and Maryland Ave Southwest. The tree is one of the oldest oaks in the District. It is also a citizen-nominated Tree of Note and can be seen on the Casey Trees Map. 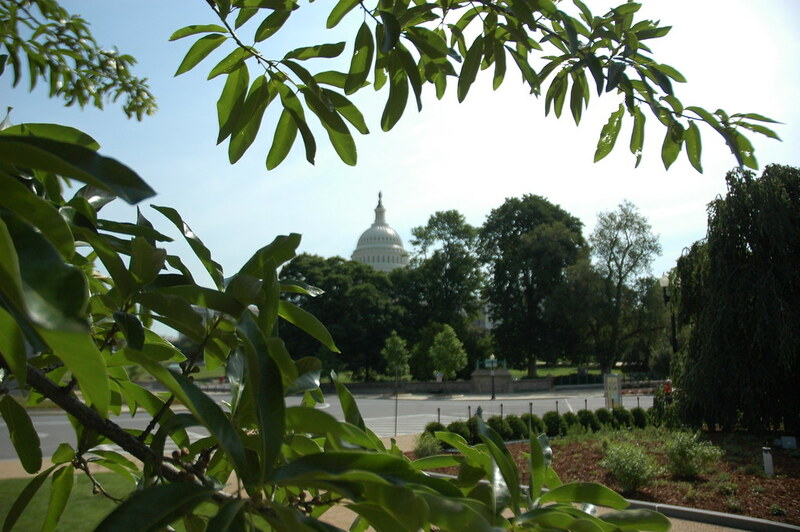 A view of the Capitol on the tree walk. 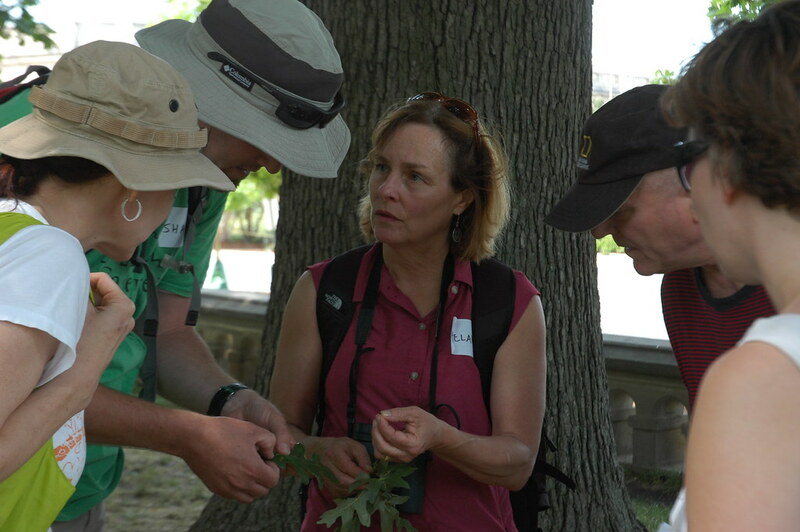 Casey Trees' Urban Forestry Instructor Shawn Walker said the dedicated participants "could not get enough." So even though the walk was scheduled to end at noon, the group decided to stick around for an extra two hours to learn more about the history of the trees, their fruits, and ways to identify them. Melanie pointed out that though tree guide books can help identify species, the differing leaves and bark can get confusing. 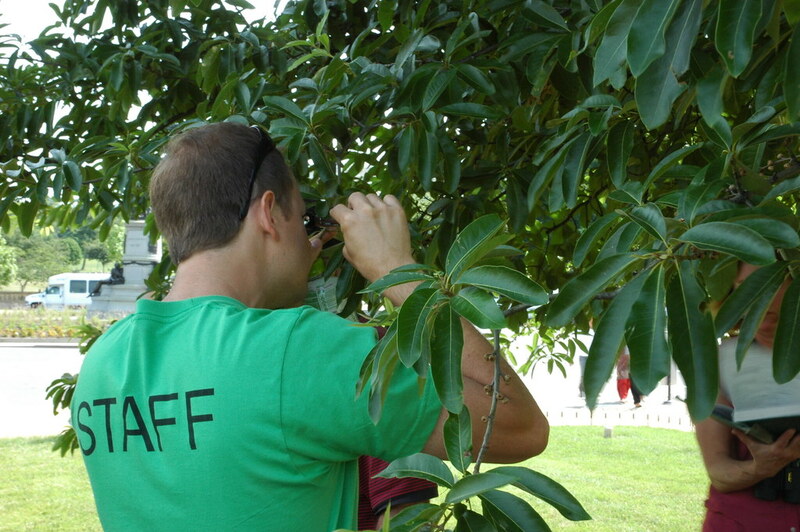 The only way to really hone your identifying skills is by exploring trees with an expert. And what better way to do that than participate in a tree walk? Casey Trees' staff member Scott Brown inspects a shingle oak's budding acorns. View all the photos from this event on Flickr. You can sign up here for the next Tree Walk, which will take place on July 23 at Tudor Place. Don’t forget to check our summer tree classes as well! A full event calendar can be viewed here.